Get started by choosing a phone that's right for you. For people who prefer touch-screen technology. 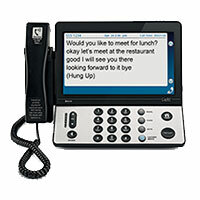 Large colorful display, dial-by-picture capability, and built-in answering machine.